Hello! I’m just going to come right out and say it: I’m rubbish at Christmas shopping for guys. 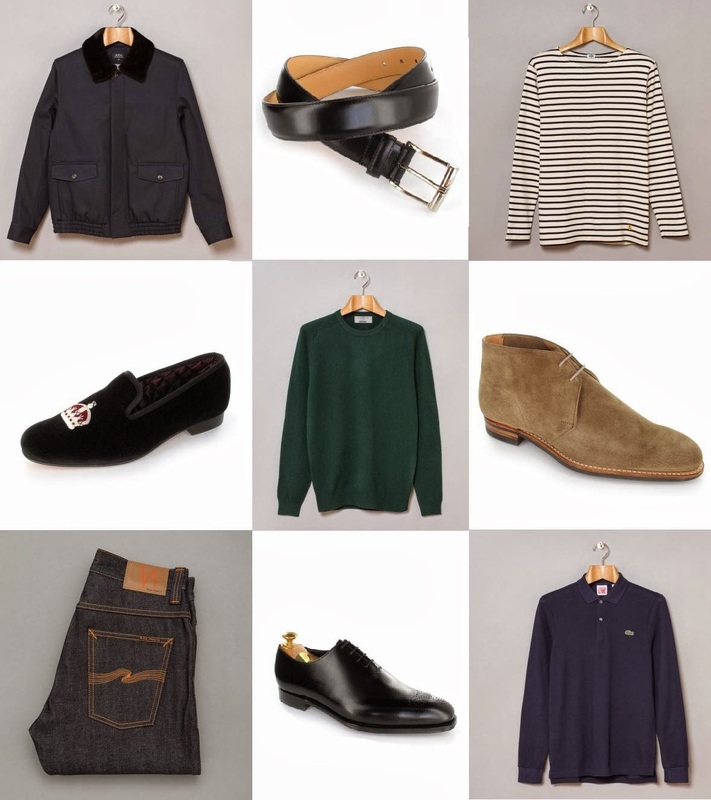 I can sort of buy things for my boyfriend, as I just buy clothes I’d like to see him wear which somehow fits into his style at the same time. Any other male, such as my dad, simply stresses me out. Like, what do you even buy a 60year old man who has everything he needs? My research actually just lead me straight to finding more things to buy my boyfriend (which means I’ve totally failed), so I thought I’d share the things I’ve found in the hopes that it helps someone else! First up, who doesn’t love a good breton stripe? I know I do, paired with that navy jacket and desert boots, I think it would make an awesome outfits. I really love the jeans, too, nothing beats a dark wash! I genuinely want the slippers for myself and it’s amazing that everything on that site is handmade, great for adding an added personal touch. So, that’s what I found on a quick browse online (and I’m still without a present for my dad! ), but it’s given me a lot of ideas for Phil! At least I’ve made a little mental note of where to shop in future. Do you struggle buying presents for guys? Or is it just me?